Lacquerhead Polish Bewitched is loaded with orange metallic hexes, bars, ultra fine glitter and scattered purple and green throughout in a clear base. 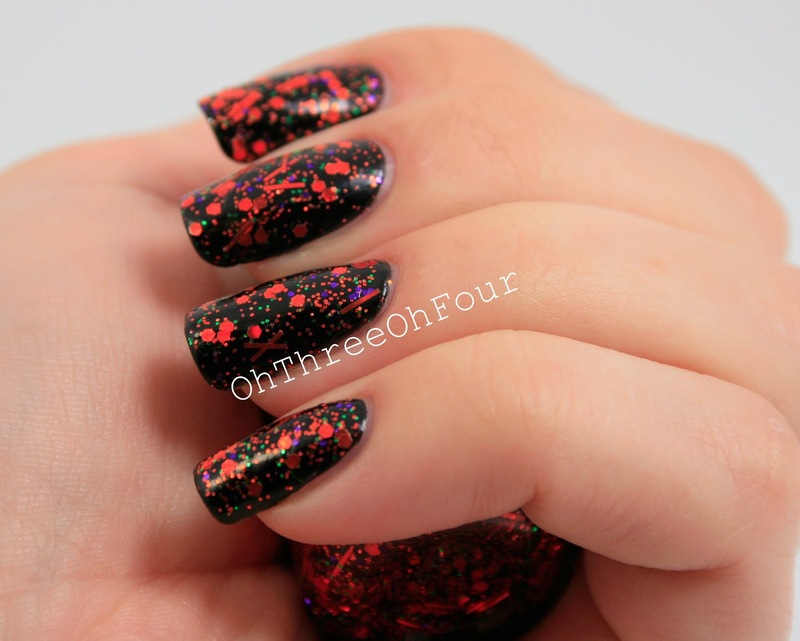 All nails are 1 coat of Bewitched over 3 coats of Lacquerhead Polish Bonfire Sparks (post here). I used no base coat and no top coat. 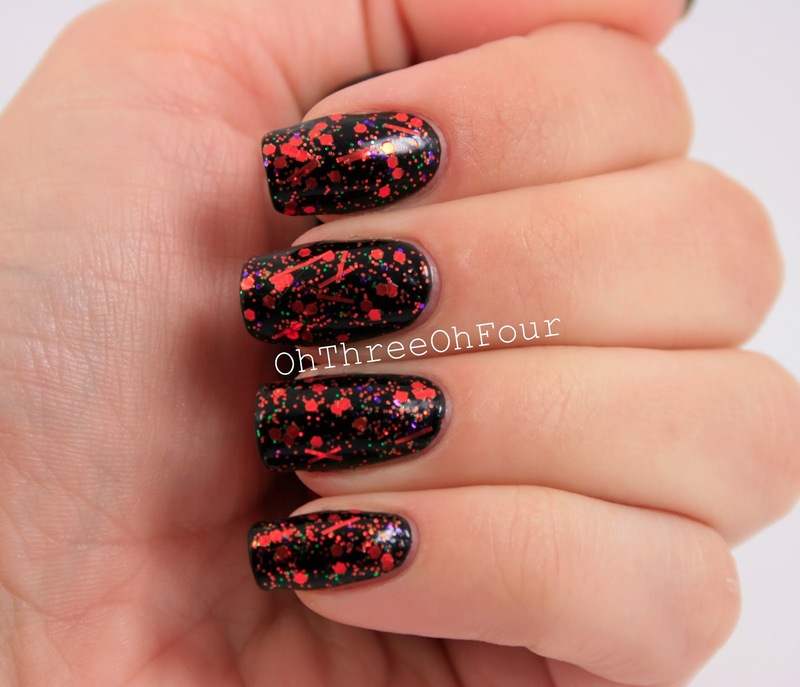 Another fantastic formula from Lacquerhead Polish! I feel like I maybe saying that a lot when reviewing all the ones she sent me! No "fishing" to get out any glitter, dried quickly and no need for a top coat. I especially love, that it took only 1 coat of this to put the perfect amount of glitter on my nails! You can find Lacquerhead Polish through her etsy store here. Make sure to like Lacquerhead Polish on Facebook here! This product was sent for review, all opinions are my own.